← Let It Go…but keep this one! 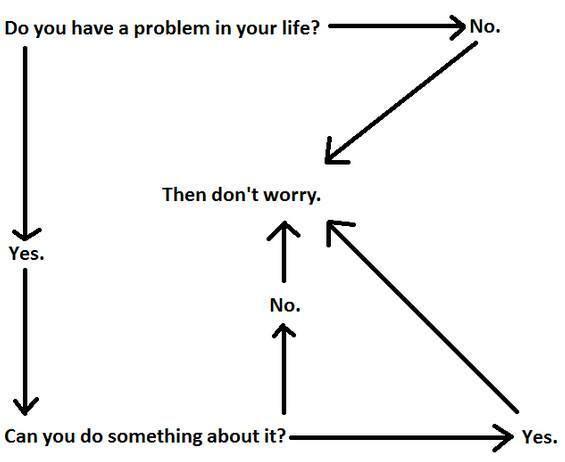 It might seem a bit simplistic but when you really come down to it, there’s no reason to worry. Worrying doesn’t fix anything – doing fixes things. And if you can’t do anything, if it’s truly out of your hands, then let it go and don’t worry…be happy! (you knew that was coming). Posted on March 18, 2014, in Randomness and tagged happiness, inspiration, smile, video. Bookmark the permalink. Leave a comment.